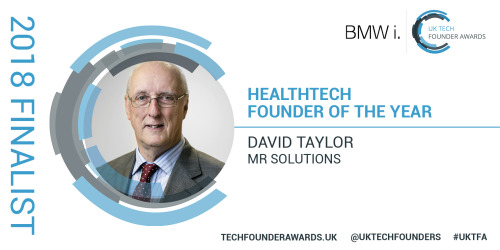 David Taylor who has revolutionised the science of high field preclinical scanning across the globe has been shortlisted for the HealthTech Founder of the Year award in the inaugural BMW i UK Tech Founder Awards. Dr David Taylor, founder and chairman of MR Solutions has led a team which has not only improved the image quality of preclinical MRI scanners but also through ground breaking science reduced their size and weight by a factor of ten. The team has also pioneered the introduction of multi-modality scanning with PET and SPECT capabilities incorporated into the MRI scanner. This gives the research scientist the great benefit of more comprehensive imaging provided by the different scanning technologies performed sequentially or simultaneously at the same time. 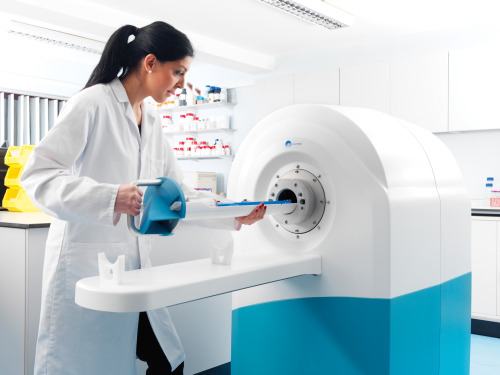 To get the most detailed images high field scanners use superconducting magnets which have to be cooled to minus 269 degrees C. MR Solutions became the world leader in preclinical scanning by replacing the very expensive and cumbersome liquid helium cooling system with a cooling system incorporated into the magnet which is driven by an off the shelf commercially available cryo cooler. MR Solutions is the only company with an installed base of cryogen free scanners with multi-modality capabilities. All the research, development and assembly of the scanners is carried out in the UK with 100% of their orders being exported to the world’s leading academic and research institutions. The first BMW i UK Tech Founder Awards are set to celebrate and champion the entrepreneurial journeys of those who create, disrupt and innovate. The winners will be announced at the Awards Final on Tuesday 27th November in London.